Lindsey Wixson in Vogue UK, August 2012! Lindsey Wixson stars here in "Daydream Believer" in the August issue of Vogue UK, which was photographed by Terry Richardson and styled by Francesca Burns. Enjoy. Lara Stone for Calvin Klein Jeans F/W 2012 Campaign! Lara Stone appears in yet another Calvin Klein ad campaign, this time being for the Fall/Winter 2012 Calvin Klein Jeans campaign which was photographed by Steven Klein. Enjoy. Cora Emmanuel for Chanel F/W 2012 Campaign! Cora Emmanuel features in the Fall/Winter 2012 ad campaign of Chanel, which was photographed by Karl Lagerfeld and styled by Carine Roitfeld. It's been a long while since a model of black descent featured in a Chanel ad campaign, which is kind of a shame. Enjoy. Eniko Mihalik in Vogue Italia, July 2012! 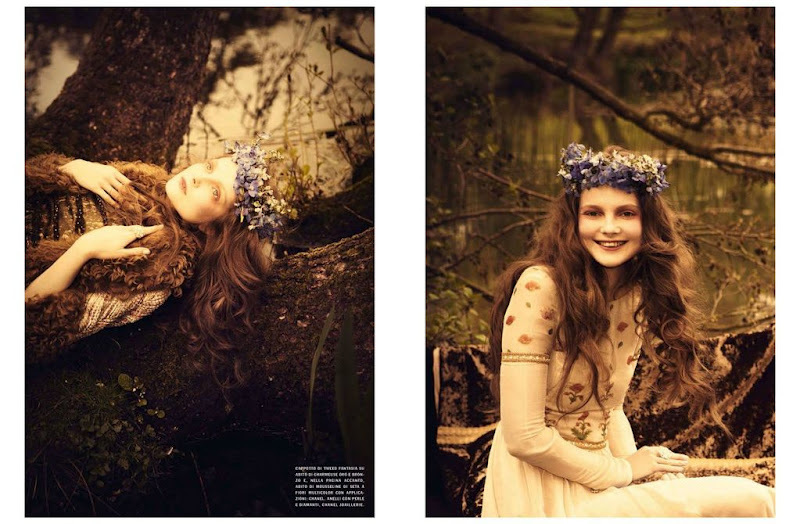 Eniko Mihalik stars here in "So Full Of Dreams" in the July issue of Vogue Italia. This was photographed by Ellen von Unwerth and styled by Leith Clar. Enjoy. Joan Smalls for Fendi F/W 2012 Campaign! Joan Smalls is the current face of Fendi as she appears here in the Fall/Winter 2012 ad campaign of the designer, which was photographed by Karl Lagerfeld. Enjoy. Cora Emmanuel in Vogue UK, August 2012! Cora Emmanuel features in "Best In Show" in the latest issue of Vogue UK, which was photographed by Daniel Jackson and styled by Francesca Burns. Enjoy. Anja Rubik for Giuseppe Zanotti F/W 2012'13 Campaign! This is Anja Rubik starring in the Fall/Winter 2012'13 ad campaign of Giuseppe Zanotti which was photographed by Karim Sadli. Enjoy. Anja Rubik in Harper's Bazaar US, August 2012! Anja Rubik stars alongside Melissa Tammerijn in this editorial entitled "High Society" in the August issue of Harper's Bazaar US, which was photographed by Karl Lagerfeld. Nice. Enjoy. Kasia Struss and Eniko Mihalik star in the preview of the Fall/Winter 2012 ad campaign of Alberta Ferretti, which was photographed by Mario Sorrenti. Enjoy. Lindsey Wixson stars in this editorial entitled "Working On Her Colors" in the August issue of Vogue Japan. 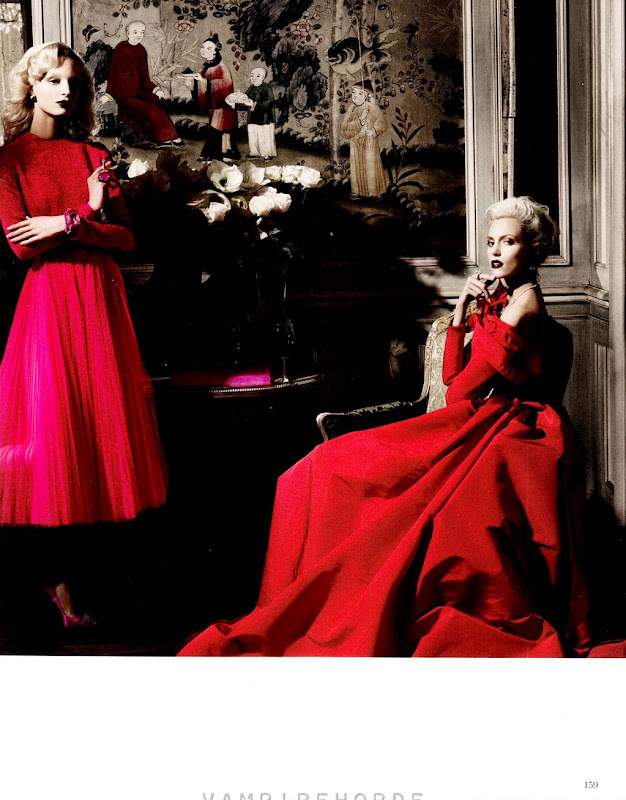 This was photographed by Sharif Hamza and nicely styled by Giovanna Battaglia. Enjoy.